With its deserts, canyons, big skies and traditional adobe buildings, New Mexico, deep in the south-west, can feel very different to the rest of the United States. Together with its attractive climate - and summers can be very hot - lack of crowds and friendly relaxed cities, it's not surprising that it has earned the name 'The Land of Enchantment'. When selecting our best places to stay in New Mexico, we've looked for hotels that will give you an authentic taste of this very individual state. Outdoors-lovers will head to the southern regions. Here you can go hiking or climbing amongst the Organ Mountains, which rise to 9000 feet and are dotted with spectacular waterfalls and volcanoes. They lie to the east of the Rio Grande, famed for its hot springs and modern spas. Here you'll also find the Gila National Forest, a huge wilderness criss-crossed with hiking and cycling trails, and the alien-looking White Sands National Monument. The latter look uncannily like a mass of sand dunes but are, in fact, vast outcrops of gypsum. Close to the Rio Grande is where the world's first commercial space flight is due to launch. Until then, you can visit the Very Large Array, a mass of radio telescopes constantly searching the universe for alien life. Those interested in extraterrestrials must visit the town of Roswell and you'll discover, amongst other kooky things, a UFO Museum; it was near here that a UFO supposedly landed in 1947. Silver City is another attractive city with a friendly, hip atmosphere and famed for its brewpubs and summer music festivals. Other cities include Albuquerque with its Indian Pueblo Cultural Centre, and, of course, the capital Santa Fé nestling at the foot of the Sangre de Cristo Mountains. At 7000 feet, it's the country's highest state capital. Highlights include the traditional adobe buildings - some dating back to the 17th century - Georgia O'Keeffe art museum, and the central Plaza with its food vendors, street musicians and Pueblo Indians selling jewellery and pottery. The city will intoxicate with its laidback atmosphere, mix of cultures and friendliness. Use our guide to the best places to stay in New Mexico to plan a trip around this oft-overlooked state. In one of Santa Fé's prime locations, on the city's central plaza, the elegant La Fonda offers romantic al fresco dining as well as cookery lessons at the city's acclaimed School of Cooking. There's an outdoor pool and rooftop bar, too. 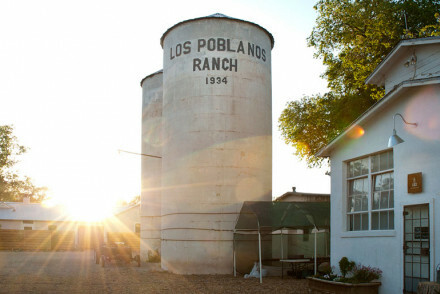 The quirky Los Poblanos Historic Inn & Organic Farm, on the edge of Albuquerque, sits amongst farmland and lavender fields and cooks up tasty farm-to-fork meals. 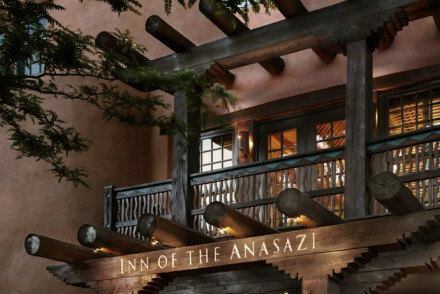 In the heart of Santa Fé, the 37-room Rosewood Inn of the Anasazi - a former penitentiary - offers beamed rooms, adobe walls and craftsman-made furnishings including bright hand-woven carpets and traditional kiva fireplaces. Close to Santa Fé Plaza, The Inn of Five Graces is an exuberantly designed inn with traditional adobe walls, wildly colourful fabrics and richly furnished rooms. Exotic, romantic, fun. With glorious views over New Mexico landscapes from its natural 'mesa' (flat-topped hill), the Hacienda del Cerezo is a romantic hideaway with candle-lit dinners, infinity pool, understatedly luxurious rooms and private terraces. All of this - plus purebred Arabian horses - yet Santa Fé is only 40 minutes' drive. Still not sure where to book? For more choices, browse our list of the best places to stay in New Mexico or contact one of our friendly gurus for advice. Centrally located elegant hotel. Interiors draw on local crafts with an airy feel: cream walls are adorned with original art, beds have hand-carved and painted headboards, some rooms have fireplaces and sitting areas. Romantic dining outside at La Plazuela and rooftop bar with views over Santa Fe. Sights nearby - Walking distance from Saint Francis Cathedral, the NM Mexico of Art, the Georgia O'Keeffe Museum and Palace of the Governors. 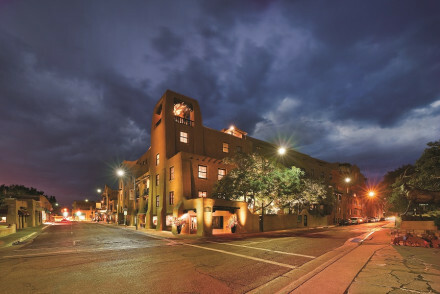 Outstanding location - La Fonda enjoys a sublime location on Santa Fe's beautiful, central plaza, a National Historic Landmark dating from 1609. Cooking classes - The Eat Stay Cook package includes lessons at the internationally acclaimed Santa Fe School of Cooking. Swimming Pool - Saltwater outdoor pool. 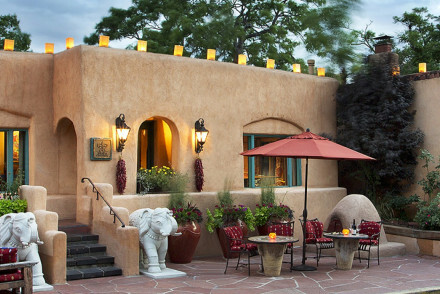 Cosy and authentically New Mexican inn at the heart of Santa Fe. All modern conveniences are provided while maintaining an ambiance that is steeped in tradition, with adobe walls, locally crafted furnishings and exquisite regional food. Pets and children are welcomed and there is an eco-emphasis. Sights nearby - Santa Fe offers a plethora of attractions including the NM Museum of Art and the Georgia O'Keefe museum within walking distance. Traditional - Adobe walls, hand-woven carpets and kiva fireplaces keep local traditions very much alive. Large inn with traditional adobe exterior and lavish orient-inspired interior. A kaleidoscopic explosion of colours, fabrics, tiles, patterns and mosaics sourced from Tibet, India and New Mexico makes each room resemble a treasure trove. Mountain views, full-service spa and gym, off-site restaurant. Spa - The spa provides an intoxicating journey for the senses, blending ancient eastern ritual with contemporary opulence. Romantic - The sensuous and extravagant atmosphere of the Inn of Five Graces ensures a stay that will kindle romance. High-altitude hideaway guest ranch with traditional details. Interiors have light stucco walls, kiva fireplaces, wood beams, large windows, plush beds. Dinner is served in candlelight with classical guitar accompaniment. 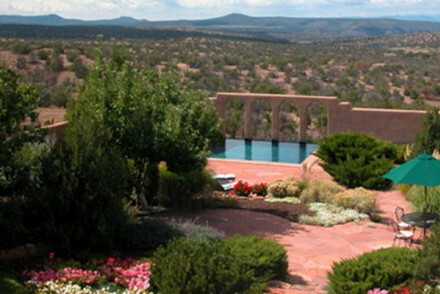 Infinity pool with view of Jemez Mts, tennis court and horse stable on-site. Outstanding location - Perched atop a natural land table (mesa) with spectacular views over Santa Fe, which is only 40 mins drive away. Sights nearby - Bordered by the Tesuque Indian Reservation; Federal lands; the Horcado Ranch area; and the old Jacona Spanish Land Grant. Secluded setting - Although less than an hour away from Santa Fe, you feel a million miles away from the stresses of modern life.